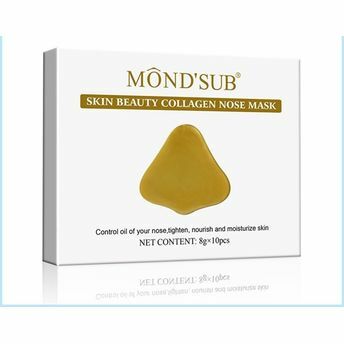 Introducing Mond'Sub Face Masks that give you clear, radiant complexion. Mond'Sub Gold Collagen Nose Mask carries moisturizing and deep cleansing properties. It controls oil on the nose, sloughs out deeply blocked follicles, improves its over all texture and leaves it feeling soft and smooth. Carry this pack anywhere you go and get a smooth and clear nose instantly.